I am in Stockholm to attend the Scandinavia-Baltics regional semi-final of S.Pellegrino Young Chef 2018. 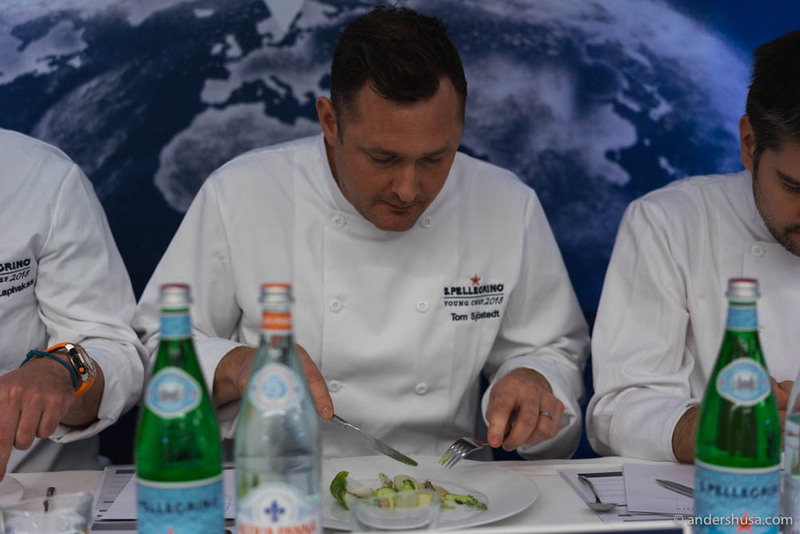 This is an annual cooking competition, hosted by the Italian mineral water company, and a global talent search for the best young chef in the world. The local jury consited of, among others, James Maxwell-Stewart from restaurant Cru in Oslo, Tom Sjöstedt from Lilla Ego in Stockholm, and chef Nikolaj Skadborg from Denmark. All chefs, sous chefs, chefs de partie, and commis under the age of 30 can apply. This year, thousands of young professionals sent in their applications, from which 210 chefs were shortlisted for 21 semi-finals around the globe. One winner from each region will advance to the grand finale in Milan in May 2018. Judges are looking for the five golden rules in each dish: ingredient, skill, genius, beauty, and message. Among the 10 semi-finalists in the Scandinavian-Baltics local competition today, there just happens, by chance, to be two representatives from each of the countries Norway, Sweden, Denmark, Estonia, and Finland. How cool isn’t that? 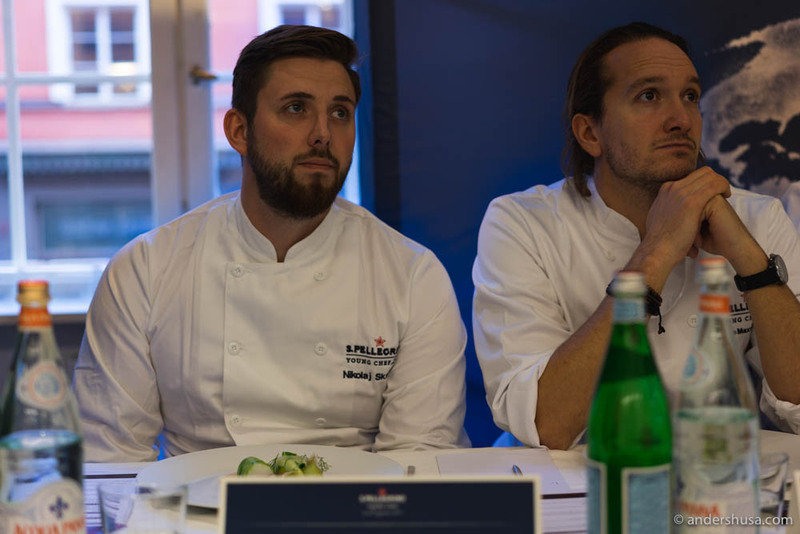 Representing Norway this year is Odd Ivar Haglund (27) who’s doing his 19th professional chef’s competition, and Tomasz Rochon (29) – originally from Poland. Also, I’ve discovered my (almost) namesake brother, chef Anton Husa (23) from Sweden. Now, I’m torn between supporting my own country, or the honor of my family. This will be exciting! Odd Ivar is no stranger to chefs competitions. This is his 19th time competing, and his biggest achievement to date is a silver medal in the World Championship with the Junior National Culinary Team. Whenever he’s not aiming for a grand prize, Haglund works at Brasserie Fengselet in the small town of Hønefoss. He prefers casual eateries, bistros, and brasseries, and that is reflected in his own cooking style. 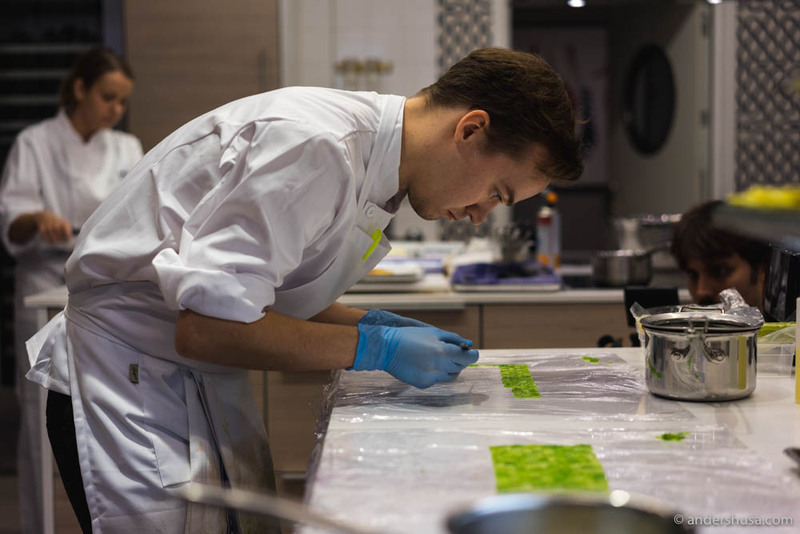 His main motivation for competing in the S.Pellegrino Young Chef Competition 2018 is to challenge himself and to learn something new. As a seasoned competition chef, Odd Ivar has learned to make a good plan in advance, keep all of his tools and products easily at hand, and always maintain order at his work station. In fact, he brought so much of his own equipment, that he had to drive from Hønefoss to Stockholm in stead of flying over like the rest of us. His sponsors for the competition are, among others, Eugene Johansen who supplies vegetables, Fiskecentralen that delivers the fish, and Bamix who equips him with proper kitchen appliances. When it was announced that Haglund was in the semi-finals, he almost immediately got a call from a London restaurant that wanted to offer him a job. However, he chose to decline, and remain loyal to his hometown of Hønefoss in stead. This is Tomasz’ first competition and he is nervous. A constant inner struggle in his mind is working him up – the stress is his worst enemy, today. He knows a thing or two about that, though, having recently worked as a stagier at restaurant Maaemo in Oslo. During his short tenure of only one month, he took part in cooking almost every dish on the menu. Rochon’s dream is to one day save up enough money to start his own restaurant. His father, back in Bydgoszcz in Poland, even has a venue waiting for him. In the meantime, he will keep working as a chef in Norway. Mr. A. Husa is an excellent young chef, currently working at the one-Michelin-starred restaurant Upper House in Gothenburg. At such a young age, he has already worked up a merit list – including the award 2016 Young Chef of the Year in Sweden. When I talked to him during the S.Pellegrino competition, he seemed very relaxed and focused. Not stressed, according to himself, but determined and concentrated. 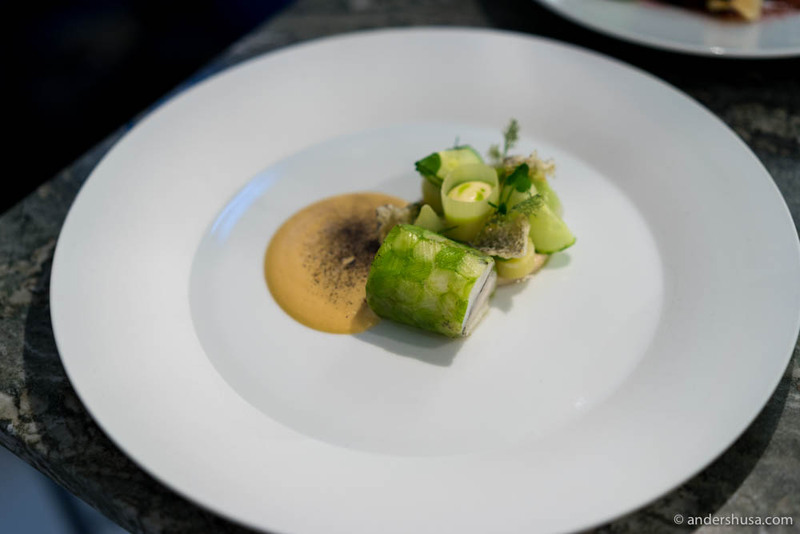 His presentation of a codfish rolled in a leek-coating, which he meticulously placed one by one with tweezers, was perhaps the most stunning of all dishes. Husa remained calm throughout the final stage of plating the food for the judges, and he had prepared well, which made this part much easier for him than many of his competitors. UPDATE: Anton Husa just won the semi-finals! Congrats! The judges said his dish was almost perfect, but it had elements they think could improve, which will be important for the grand finale. UPDATE: Ina came in third with her dish of typical chef’s food. Talking to the judges afterward, this was the only dish that every single one of them couldn’t help but finish. What kept her from winning, was the fact that the dish was hard to improve further, and might be too weak to win the finals in Milan. UPDATE: Andrea was the runner-up, with a dish that at least two of the judges described as the best quail dish they had ever tasted. That’s quite the achievement! It was only due to details in the decoration, and the choice of some ingredients that kept him from winning. 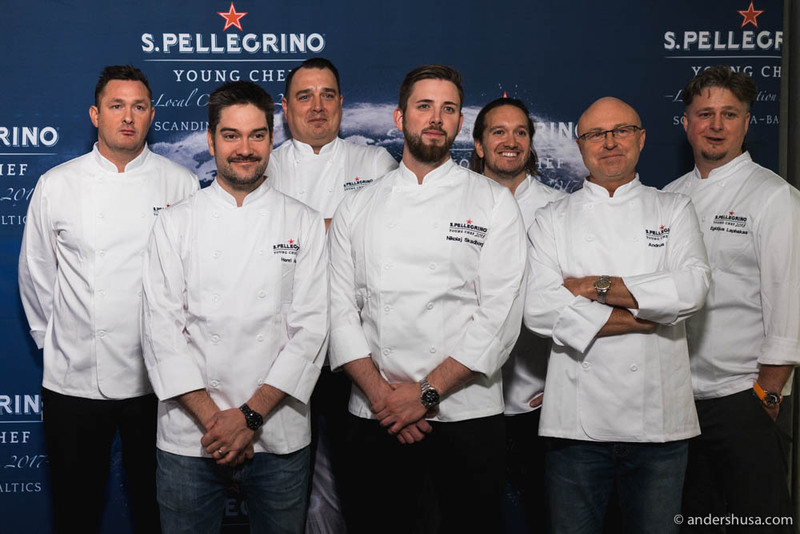 I would love to hear from any young chefs would consider applying to the S.Pellegrino Young Chef next year. Leave a comment below and let me know. This competition is sponsored by S.Pellegrino. They had no influence on the content of this article. I received no monetary payment.